AI and machine learning are embedded in multiple areas of research at Stevens, leading to discoveries in defense and security, medical applications, the increased functionality of autonomous vehicles — and much more. Machines can now mimic sophisticated problem-solving functions similar to the human mind, advancing the cognitive processes that allow them to learn without being programmed. Stevens research in artificial intelligence and machine learning includes sophisticated methods of password detection, medical diagnostics and financial fraud prevention. Stevens also leads in cybersecurity research and education. As individuals, corporations and governments generate increasing amounts of data, they face new cyber-threats against networks, information systems and infrastructures. Our strength in cybersecurity — reaching from mathematical foundations, formal methods, privacy, network and systems security, and cybersecurity in critical infrastructure — confronts increasingly sophisticated and damaging cyberattacks while also addressing the pressing needs of the nation's cybersecurity workforce. The goal of the Center for Complex Systems & Enterprises (CCSE) is to enable rapid conceptualization, development and validation of multi-level computational models with associated interactive visualizations. This trans-disciplinary Center mobilizes the research vision, experience, talent, creativity and capabilities across Stevens and our many collaborators. The Center for Decision Technologies investigates projects related to the improvement of decision making. Faculty in the center explore decision-making through disciplines such as system design development, social network use and crowdsourcing. Research focuses on better understanding the networks that are around us and within us, because understanding these networks can help us build technologies that augment decision-making. The Center for Quantum Science and Engineering (CQSE) at Stevens Institute of Technology develops new theoretical and experimental grounds with the goal of bringing quantum computing into reality. CIESE leverages and strengthens STEM disciplinary and pedagogical expertise for K-12 and Higher Education through research on teaching and learning; professional development for educators; and curriculum design. The Hanlon Financial Systems Center gives Stevens researchers the tools needed to explore finance, financial systems, financial engineering and related disciplines, such as cybersecurity, risk management, high-frequency finance and monetary policy. 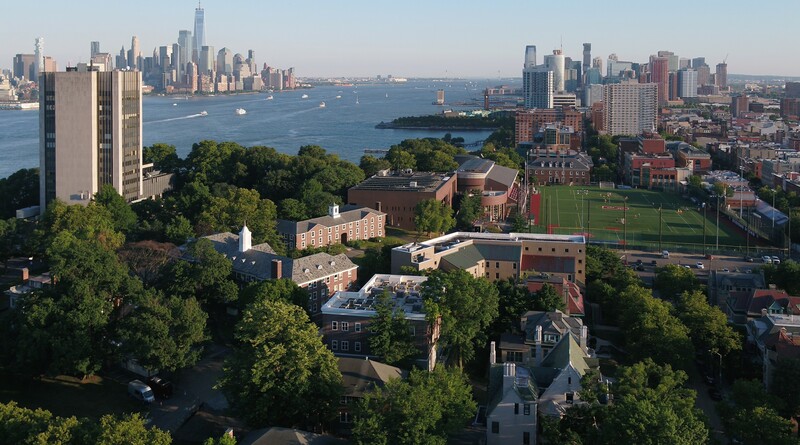 In 2014, the Department of Homeland Security (DHS) Science and Technology Directorate selected Stevens Institute of Technology as the lead university in the Maritime Security Center (MSC). The MSC provides education programs and conducts research to enhance port and maritime security. The Stevens Institute for Artificial Intelligence (SIAI) is an interdisciplinary, tech-driven collaboration of engineering, business, systems and design experts working toward solving pressing global problems in industry and the world. In 2008, the Department of Defense (DoD) competitively awarded Stevens a contract to operate the SERC-UARC, housed within the Systems Engineering Research Center (SERC), in order to enhance and enable the development, integration, testing and sustainability of complex defense systems, services and enterprises. The SERC-UARC consists of 22 collaborating institutions. Stevens' academic programming in AI, machine learning and cybersecurity touches upon mathematics, computer science, cryptography and computer engineering at both the undergraduate and graduate levels. Stevens researchers develop an AI-powered technology that cracks the toughest passwords. A Stevens machine-learning project will use AI to scan and make sense of thousands of pages of priceless 15th-century historical manuscripts. Teaching software to create jazz with live musicians is fun -- and also potentially useful for defense and computing.